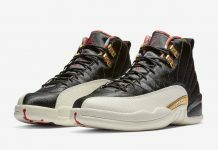 Jordan Brand will be rolling out an Air Jordan 12 “Pinnacle” similar to the one Kawhi Leonard wore late summer of 2016. 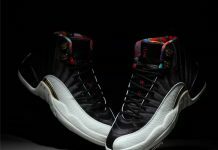 The Air Jordan 12 has had a great run and soon, Jordan Brand will be celebrating the XII with a Gold and White pair to add onto the Pinnacle series. 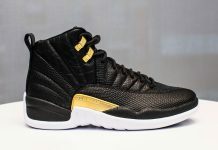 The Air Jordan 12 will feature a Metallic Gold upper alongside White, with a black mid plate and rope laces. 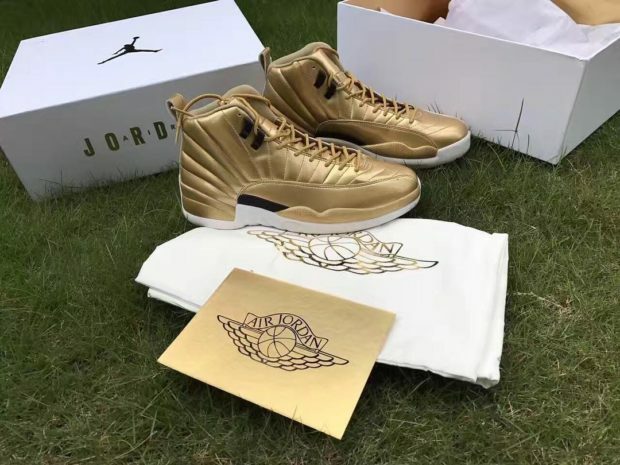 No word on when they’ll release but stay tuned with Modern Notoriety for more news on the Air Jordan 12 “Pinnacle”.